Located about 5 miles (8 kms) southwest of Reading there have been settlements in this area since the Bronze Age and ancient earthworks have been found throughout the parish. The village of Burghfield remains largely unchanged and has many picturesque buildings including St Mary’s church originally built in the 12th century but completely remodelled in Victorian times in an Italianate style. In contrast Burghfield Common has significantly changed following extensive building started during the 1980’s following the construction of the M4 motorway. During this time gravel extraction at Pingewood became a major industry resulting in the loss of farms, however, a number of pits have been left to fill with water providing a centre for many leisure activities. There are also three schools within this area as well as shops and many other amenities. The suburbs of Coley and Coley Park are situated to the southwest of the centre of Reading. Coley Park Farm was the location of a large manor built around c1555 called Coley House, also known as Vachell House after the family who built it. There are still some reminders of that bygone age including the round brick dovecote dating back to 1553 as well several other out buildings and cottages. In 1651, after the end of the Civil War the manor house was in a bad state of repair underwent a major refurbishment which included fantastic ornamental gardens. In 1802 the new owner John McConnell built a new manor house in Wensley Road (Swallows Croft), part of which still stands today as part of the Berkshire Independent Hospital. Coley had three main clay works located all within close proximity of each other. Due to large areas of clay sitting on a base of chalk, it made an ideal location to produce clay products. With the closure of the kilns, building on the site commenced with The Coley Primary School being the first major construction in 1874 followed by housing in Field Road in 1881 and many more homes after that. This was to have unforeseen consequences especially in 2000 when the forgotten chalk mines started to collapse under the houses. Today The Berkshire Record Office is situated in Coley Avenue near the Bath Road junction. 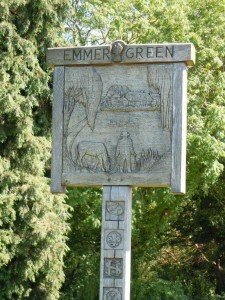 Emmer Green’s main claim to fame is the disused chalk mine known as Emmer Green (Hanover) South Chalk Mine at the junction of Peppard Road & Kiln Lane and the associated brick kiln which was first referred to in records from 1645. Before the mid-19th century emmer Green consisted of just a few houses to the the edge of Caversham Park, where a large house had existed since the 1590s which is now owned by the BBC. 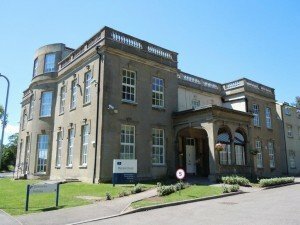 Three other major residences were built after this time Rosehill House, Notley Place and Grove House which is now the site of Highdown School. After the Second World War the need for housing became a major priority and extensive building took place in the area. There are two primary schools in the area, Emmer Green Primary and The Hill Primary and there are also two churches, St Barnabas and the Chapel on the Hill. Situated about 8 miles (13 km) northwest of Reading, Goring and Streatley have been inhabited since the Bronze Age, due to their location on the Ridgeway and close proximity to the ancient trackway, The Icknield Way. The river crossing here is probably the oldest crossing point on the Thames. Both these villages are not considered suburbs but are included as they known to be within the Reading area. Goring is sited on the north bank of the Thames in South Oxfordshire and Streatley is directly across the river in Berkshire. They are linked by the Goring and Streatley Bridge, with its lock and weir, which was built in 1837. 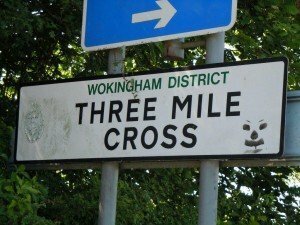 Prior to this the villages had very little contact and Streately was in fact the larger of the two being on the turnpike road from Reading. Grazeley is a small village situated about four miles (6.4 km) south of Reading. Bordered by Spencers Wood to the east, Wokefield to the west and Beech Hill to the south. The area is predominantly farmland but it does have a small school and village hall. 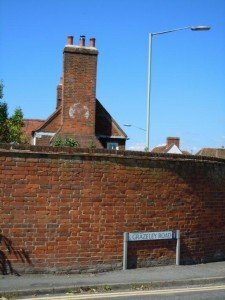 The first written mention of the village was c950 when it was referred to as Graegsole meaning ‘Badgers wallowing place’. From the 12th century onwards it was owned by the Abbot of Reading up until the dissolution of the monasteries under Henry VIII in 1541, when it was sold to Sir John Williams. Katesgrove is a suburb of Reading to the south of the Town Centre. It was once home to a thriving industry including three brick kilns (Rose Kiln, Katesgrove Kiln and Waterloo Kiln) of which reminders can still be seen today in the buildings and the street names. There was also a tannery, sail cloth factory and jam factory in this area. Today it is mainly residential with just the south-western quarter being industrial. The main commercial area is in Whitley Street with its parade of shops, there is also a smaller row of shops on Basingstoke Road opposite Elgar Road junction. Other amenities include a primary school and a multitude of public houses. The village of Mapledurham is on the north bank of the River Thames about 3.5 miles (5.6 km) northwest of Reading. It is first mentioned in the Domesday Book as two manors Mapledurham Gurney, owned by William de Warenne and Mapledurham Chazey, owned by Milo Crispin. 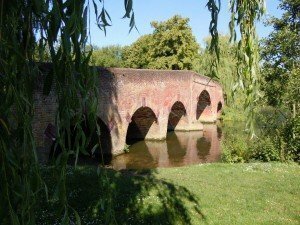 Today it is most famous for the Mapledurham Estate, including Mapledurham House which is one of the largest Elizabethan houses in the county and the Watermill, dating from the 16th and 17th centuries, which is the only working watermill left on the Thames. In spite of being close to central Reading it remains a very secluded location as the only access by road is down a steep lane leading off the A4074. A suburb of Reading situated between Cemetery Junction and the River Kennet. It is composed mainly of terraced houses which were originally built for the employees of. When Huntley and Palmers opened the Kings Road factory in 1846 there was dramatic increase in employees contributing to the town’s population growth. The terraced houses of New Town were built during the 1870s as housing for the workers. The area was partially redeveloped in the mid-1970s leaving a mix of old and new houses. The river area is known as Kennetmouth being the confluence of the River Kennet and the River Thames and nowadays is a popular recreation area. Here you will also find the historic bridge built by Brunel which is now a footbridge but was formerly used by barge horses to cross the Kennet. It is known as the Horseshoe Bridge Because of its shape. The first written mention of the village was Selingefelle in the Domesday Book of 1086 and then later in 1167 as Schiningfeld. However, it was also known, by the Anglo-Saxons, as Shining Field due to the shimmering effect of the water when the area flooded. The parish also includes Ryeish Green, Spencers Wood, Three Mile Cross and Grazeley and has the River Loddon as its boundary to the south and the east. The heart of the village is School Green where a school has stood since 1707; there is also the village green as well as pubs, shops and recreation areas. The parish church of St Mary’s was built in 1069 and is Grade 1 listed. Although it was restored after being extensively damaged during the Civil War there are still many original features left to admire. Shinfield manor was once owned by Catherine of Aragon and used to stand up by the Shire Hall before it was demolished at the end of the 18th century. Situated to the east of Reading, Sonning is a quintessential English village also known as Sonning-on- Thames, the name means settlement of Sunna’s family or followers. The parish originally extended from Sonning Common to Sandhurst and was handed over to the Church in the 7th century until 1574 when it was transferred to the Crown. In the heart of the village lies St Andrew’s Church which was founded in Saxon times, although it was largely altered in the 19th century. The Bull Inn was originally owned by the Church and was known as Church House being used as a guesthouse for pilgrims. There has been a mill in Sonning since Saxon times and up until its closure in 1969 was a major flour supplier to companies such as Huntley & Palmers. It has now been restored and is a successful dinner theatre venue. The suburb of Southcote to the southwest of the town centre is bounded to the north by Bath Road, to the west by Fords Farm, to the south by the Holy Brook and to the east by the Reading to Basingstoke railway line. It is well served with four schools, a library, recreation areas and a good selection of shops. 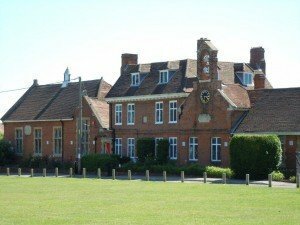 Southcote was primarily built on the grounds of Southcote House. This moated manor was originally the site of a fortified medieval manor. Once home to John Blagrave, the famous Tudor mathematician who is buried in St Laurence Church and also his nephew Daniel Blagrave, Member of Parliament for Reading, who was one of the 59 who signed the death warrant of King Charles I in 1649. The Southcote manor house was eventually demolished in 1921 after falling into disrepair. Spencers Wood is a village 4 miles (6.4 km) to the south of Reading with its northern boundary adjoining the village of Three Mile Cross. It has a wide range of amenities including a library, post office and school as well as hosting a yearly community carnival. The village was named after a Norman family called the le Despencer’s who owned the area during the 13th century. Up until about 1300, the village was actually part of the Royal Forest of Windsor. Situated 5 miles (8 km) to the west of the centre of Reading, there has been a settlement in the area since the Bronze Age and the name means ‘The planks’ referring to a bridge or building. The first written reference was in 1208 where the name was recorded as Teile. One of the most important features of the area was the gravel terraces from which gravel was extracted through the middle ages mainly for road maintenance. 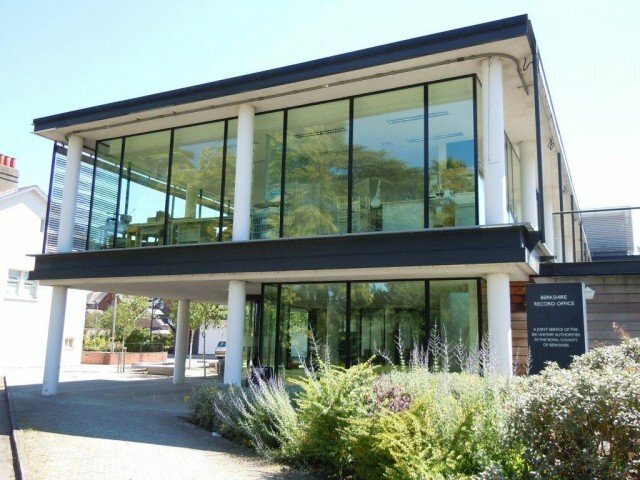 Located by junction 12 of the M4 Theale is ideally situated for easy access to London and the South West and to the east of the village centre is the Arlington Business Park which is home to several international corporations. 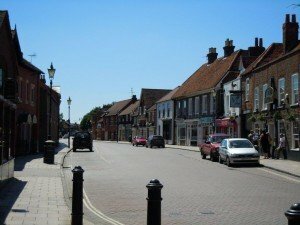 Theale today is a thriving community with a mainline railway station, a bustling high street boasting a good selection of shops and businesses, a primary school, secondary school, post office and an impressive selection of public houses. A small, rural village which got its name by being three miles south of Reading on the old Basingstoke Road. It adjoins the neighbouring village of Spencers Wood to the south and is conveniently close to Junction 11 of the M4 which acts as a natural barrier between the village and Reading. In the 1980s, the A33 Swallowfield Bypass was built to the west of the village and with it came new housing developments. The village is perhaps most famous for its association with the 19th century authoress Mary Russell Mitford (1787- 1855), who based her novel ‘Our Village’ on her experiences whilst living in Three Mile Cross.